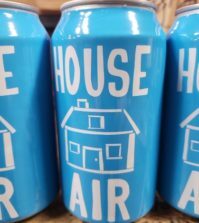 WALLA WALLA, Wash. – Walla Walla Vintners, one of the Walla Walla Valley’s oldest and most acclaimed wineries, is poised to release the first estate wines in its 22-year history. 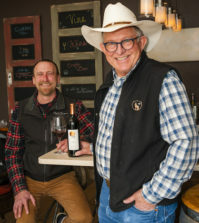 Longtime winemaking friends Myles Anderson and Gordy Venneri founded Walla Walla Vintners in 1995 as the eighth bonded winery in the valley, but they didn’t establish Cut Bank Estate Vineyard near their iconic red-roofed barn along Mill Creek Road until acquiring water rights in 2008. Next month, head winemaker William vonMetzger will present the 2012 Cut Bank Estate Vineyard Vottavo Red Wine, a Super Tuscan-styled blend of Sangiovese, Cabernet Sauvignon and Merlot as well as the 2012 Cut Bank Vineyard Estate Cabernet Sauvignon. 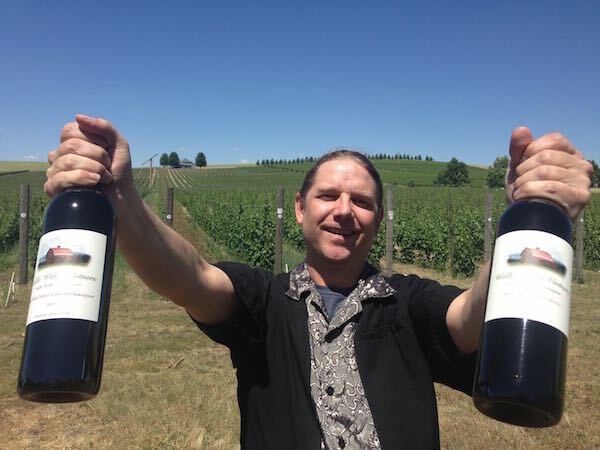 vonMetzger, a product of Walla Walla Community College’s winemaking program and one of Anderson’s prized students, has been incorporating Cabernet Sauvignon, Merlot, Petit Verdot, Sangiovese and Syrah from Cut Bank into Walla Walla Vintners’ award-winning wines for years. 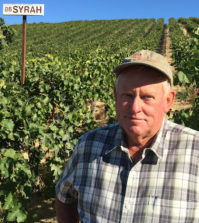 The 11.5 acres near the Figgins family’s Upland Vineyard have been dry-farmed. Walla Walla Vintners’ portfolio led to its selection as 2016 Pacific Northwest Winery of the Year by Wine Press Northwest magazine and attracted the attention of Portland investor Scott Haladay, who purchased control of Walla Walla Vintners earlier this year in conjunction with the retirement of Anderson. An example of Haladay’s investment will be on display during Labor Day weekend when renovation of the tasting room is scheduled for completion. The two Cut Bank Estate bottlings, which retail for $60, will be available Sept. 1 in the tasting room. Production of the Vottavo was 175 cases and 154 cases of the Cab. The 2012 growing season was immediately hailed as a balanced and classic vintage throughout much of the Pacific Northwest, and the Walla Walla Vintners 2012 Cabernet Sauvignon finished No. 2 overall in the 2015 Platinum Judging. 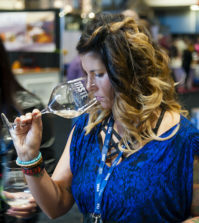 That competition staged by Wine Press Northwest requires a gold medal to gain an invitation, and the 2012 Cab by Walla Walla Vintners earned a double gold and best of show at the 2015 Walla Walla Valley Wine Competition. This week, Haladay, his family and Venneri also announced they have hired Kent Fitzgerald as national sales manager. Fitzgerald has been executive vice president of The Henry Wine Group, a distributor with headquarters in Benicia, Calif.